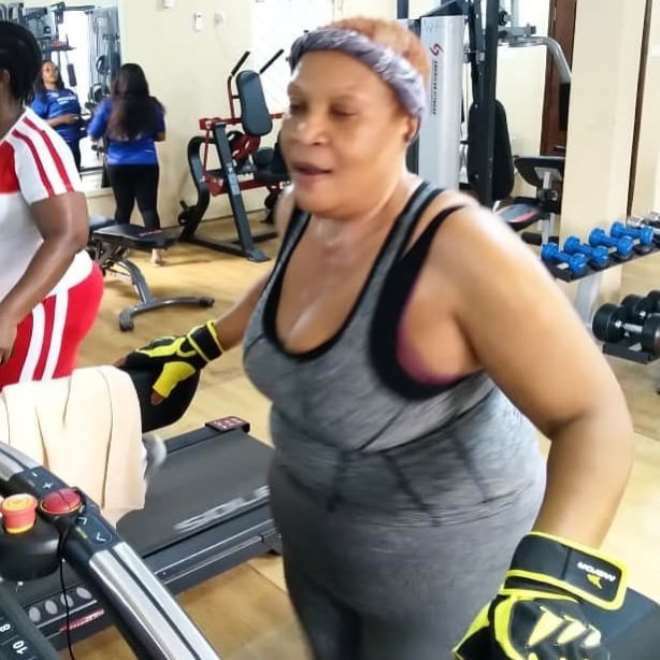 Veteran Nollywood actress, Ngozi Nwosu, is starting her 2019, with weight loss journey as the actress is set to compete with some slay ladies in her industry. 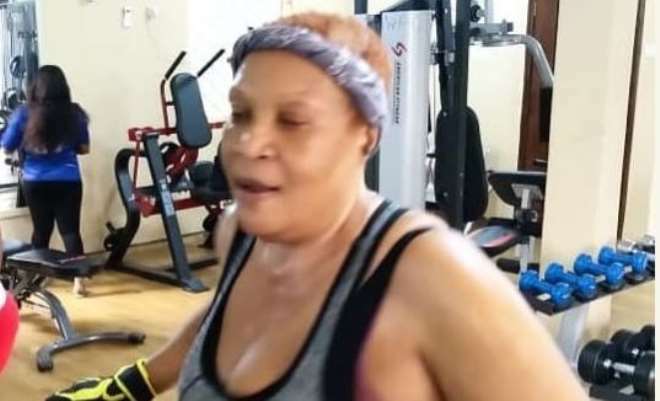 It will be observed that the actress is currently enjoying her endorsement deal with a popular telecom giant and to remain fit and be in the game, she needs to keep body and soul together. 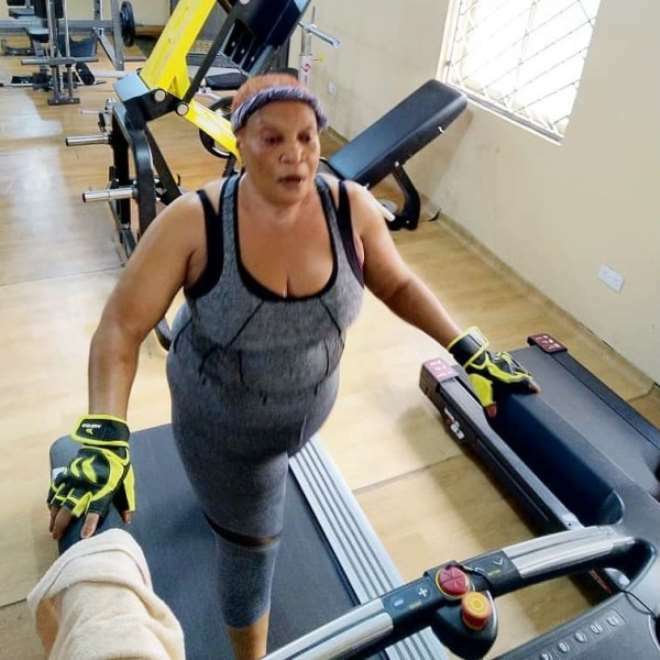 The 55 year old actress had to hit the gym as she begins her work out on the threadmill.